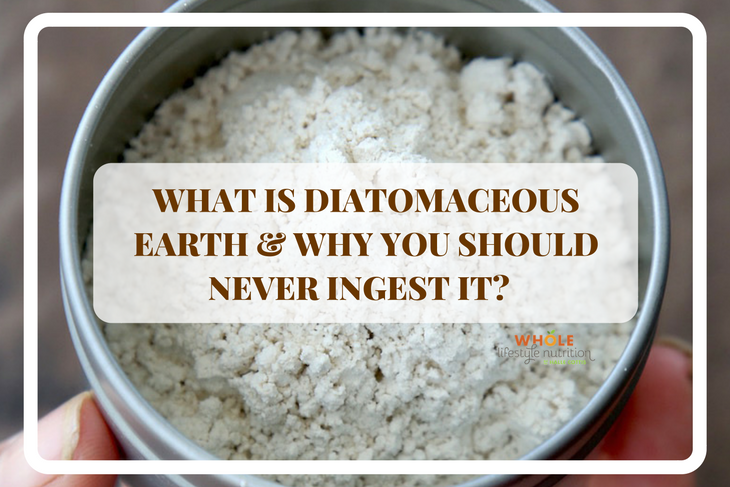 What is Diatomaceous Earth and Why You Should NEVER Ingest It? Diatomaceous earth is a chalk-like substance that is composed of fossilized diatoms that have formed together into silica deposits. The silica deposits are grounded into a fine powder called diatomaceous earth. There are two different grades of diatomaceous earth; food grade and pool grade. 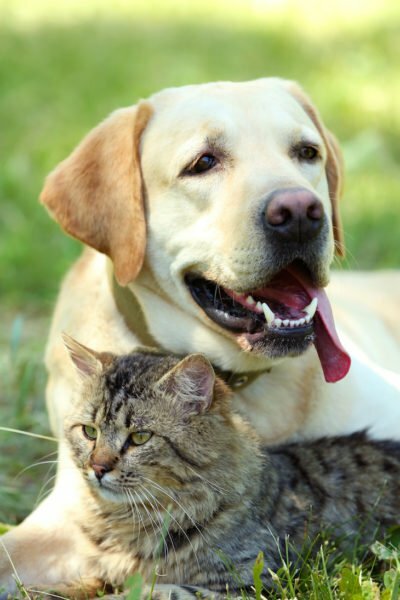 Food grade diatomaceous earth is safe to use for the home, yards, and animals to name a few. Pool grade diatomaceous earth is altered by high heat and is only safe to use in pools. Be sure to buy food grade diatomaceous earth for natural solutions. 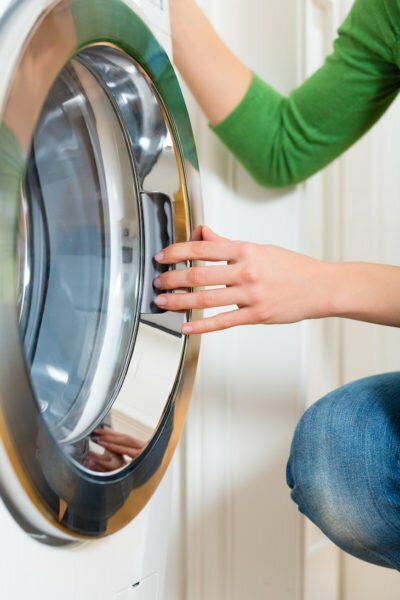 How Do I Use Diatomaceous Earth? There are many uses for diatomaceous earth. 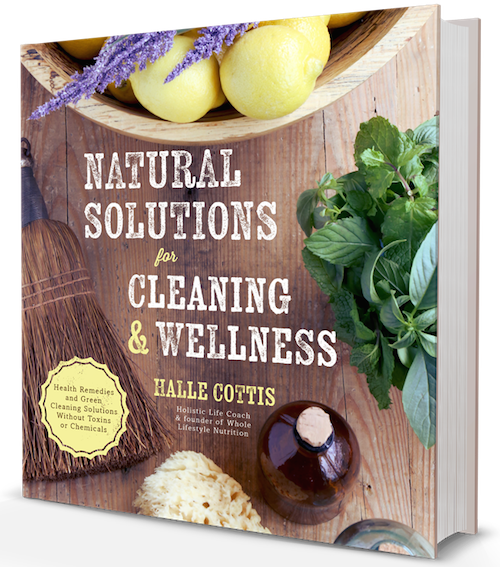 In fact, it is one of the most used ingredients in my Natural Solutions for Cleaning & Wellness book! Now that is a wide variety, isn’t it? 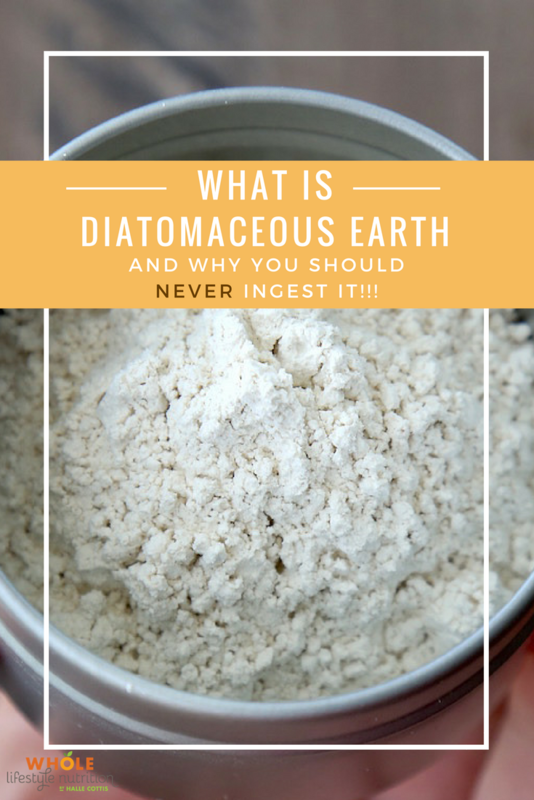 And this list just names a few…there are so many more uses for diatomaceous earth. 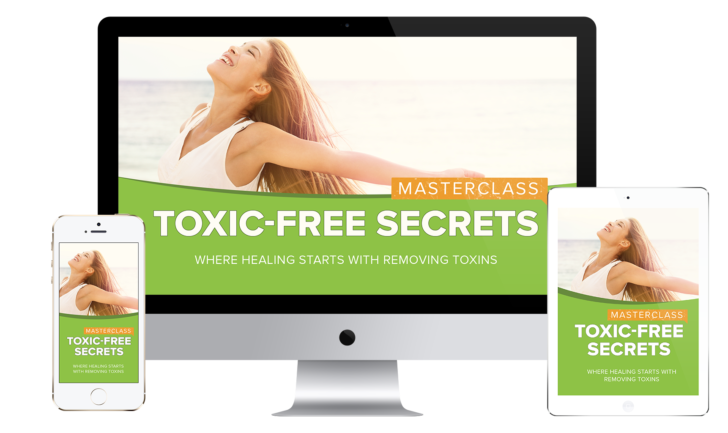 You can get a free preview of my book here and also sample some of my solutions: Take a Look Inside – 23 Natural Solutions That You Can Try Out TODAY! 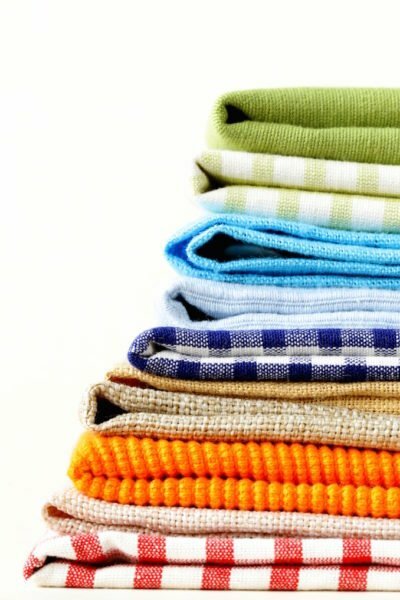 But before you start browsing around, go ahead and get your hands on this very inexpensive ingredient that will leave you wondering — “What did I ever do without this stuff”? Seriously, it is that powerful! Diatomaceous Earth Should NEVER Be Ingested! Now I know diatomaceous earth is kind of a trendy ingredient these days. More and more people are ingesting diatomaceous earth and I’m not sure that is such a good idea. If you’re using diatomaceous earth products, beware. They’re really, really, really a problem with the immune system. 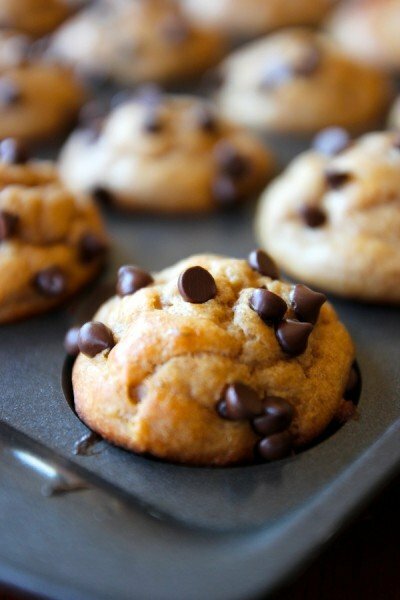 They’re touted as being good for the immune system. They’re touted as being good for the intestinal tract. People are consuming this. Uh-uh, not a good idea at all whatsoever. I don’t care if you haven’t felt a negative impact yet, you have to be cautious. What this does, it’s like diatomite. It’s a soft rock. It becomes like a white powder. It tenaciously binds to the inside lining of your intestinal tract and it suffocates the intestinal tract. That sounds kind of spooky, right? What that does is it stop absorption is micronutrient trace minerals. If you continue to use these diatomaceous earth products and you internalize them, you’re taking them internally, you will become deficient in so many vitamins and minerals, everything that it says it does and do. Not to mention, if you’re a sensitive person with colitis, Crohn’s, IBS, spastic colon, peristaltic action issues, everything, anything in the digestive arena, you don’t want to be ingesting diatomaceous earth. I’m just going to say it right here. You can read more of Anthony’s damaging health fads report here. I personally do not feel that enough research has been done to ingest this ingredient, so for that reason, I’d recommend not ingesting it. If you are dead set on taking diatomaceous earth internally, please talk to a qualified physician about the possible side effects. I use diatomaceous earth in my home to ward off cockroaches and silverfish. It works great and doesn’t affect my cats! So many uses, right Jeff! We don’t have as much of a silverfish problem here (Florida) but I hear they can be quite a nuisance! Glad to hear that diatomaceous earth works well with those little buggers too! I would like to try D E but after reading the reports re never ingest D E I am concerned for health reasons, can you let me know if in your opinion those reports have any credibility. The author sounds good and knowedgable stating benefits and uses of De then falters and fumbles. Clearly we have our own homework ahead of our lives and future lives will benefit from our experience now. I would suggest mixing with colloidal silver and food grade h2o2. I am concerned regarding reports that D E should not be ingested,can you tell me if there is any danger to health . I can tell just by the way he writes that Anthony William isn’t too bright. What makes him the authority on DE? He doesn’t say why not to injest it, just that it’s very, very bad.. Yes, it does say why not. It blocks intake of trace minerals and binds to wall of the intestine. Read it again. Yes, he did not support his theory with any science based article. His claims are pure rubbish. Diatomaceous earth can’t bind to the walls of the intestines. It’s an exfoliant, basically cleaning the intestinal walls. This is why it works so well to “clear you out”. By its very properties it wouldn’t have a binding affect. That claim has me almost without words. As for interfering with absorption, that’s also untrue. A healthier digestive system will absorb vitamins and minerals MORE effectively. 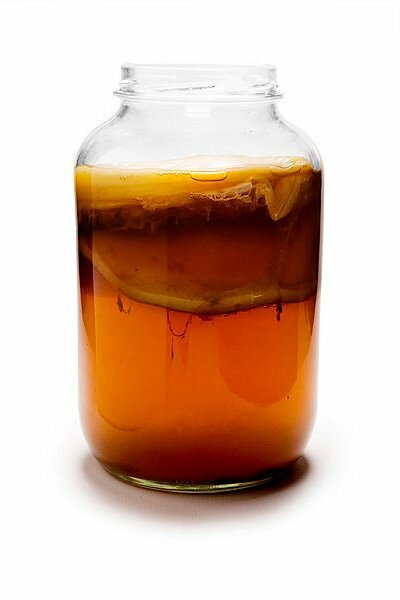 For example, one thing DE does is rid the body of parasites and yeast overgrowth. If you have a tapeworm in your intestines, that is guaranteed interfering with your absorption of nutrients. The eradication of said tapeworm by DE only improves the situation. That’s just one example. As long as you’re using food grade DE – and using it properly (meaning within the directed dosing guidelines and methods) – this isn’t a substance that worsens absorption of nutrients. Now, people with chronic health conditions ALWAYS have special circumstances, so someone who already has absorption difficulties shouldn’t be using something like this without ongoing supervision by a doctor, but that goes for any medical intervention…. And that still doesn’t make this person’s claims true. Jen, we have an issue here in Orange Ca. With very small Asain mosquitoes. Do you think ingesting D.E. would help to repel them? Diatomaceous earth does not repel insects. It kills them. It shreds their bodies apart. But they would have to walk through the dust or have it sprinkled on them. Most mosquitoes, I think like water. I’m not sure if the stuff would work when it it wet. + 1.75 and I lost the astigmatism that I have had for years. My nails are much stronger too. I actually have tried diatomaceous earth for 3 weeks everyday and I regret it . I have ruined my gut . My nails got vertical lines on them and my hands are extremely dry and cracking , I never had it like this and my nails have been beautiful before and now Iam suffering trying to heal my gut . I think the DE ripped off the mucus from my colon . I also got a huge headache and UTI after this . And yes I bought the food grade one in my local health store . Alina what are you doing now to heal your gut? My husband had the same problem with the DE. You said it ripped off the mucus from your colon. Wondering if this is why my husband is having these issues. I agree with you Alina it is not good for some people. People need to be aware. I totally agree with Jen and everything she says about DE! I have found many great things about DE on how it is good for you. Diatomaceous earth can’t bind to the walls of the intestines. It’s basically cleaning the intestinal walls. A healthier digestive system will absorb vitamins and minerals MORE effectively. I feel great using it! My energy, stronger nails and hair! I joints also don’t hurt like they once did! I also use it in my garden and for my cats! I have done alot of research before using! I think you should do more research! I have done my research Tracy, why don’t we just agree to disagree. Hi Jen, I ‘ve been taking food grade DE for years. It has made my hair thicker and stronger. However, with aging and medications I’m taking at 65, I am experiencing dry mouth and mucous membranes. Do you think DE could also be contributing to this newer problem? Thanks for your input. 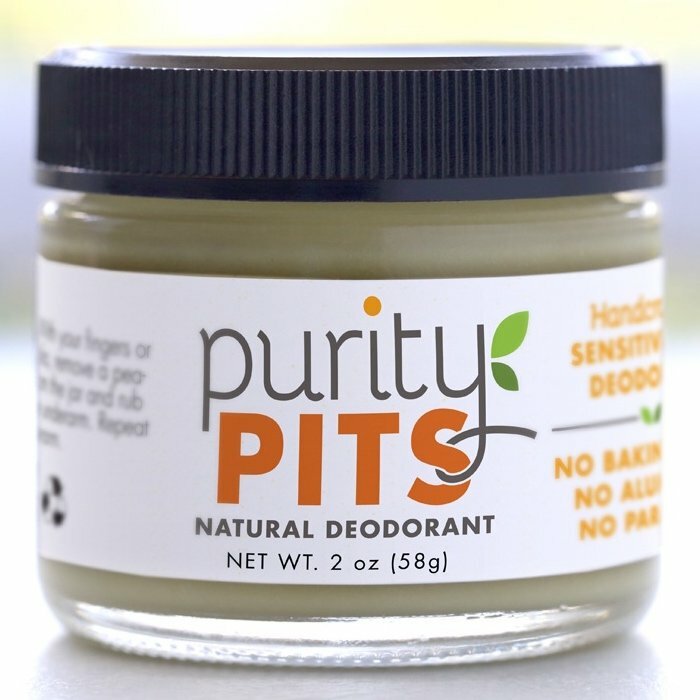 How do you use it for your hair? Do you wash your hair with it or take it orally? I concur. I have used food grade Diatomaceous earth with livestock and with patients and on myself with great success. It is especially successful in binding mold …. and on another note even helps with cellulite and gives you the eyelashes of a camel. Some of MM ideologies , I have found to be very useful and insightful. Other contributions I have found to make patients much much worse. 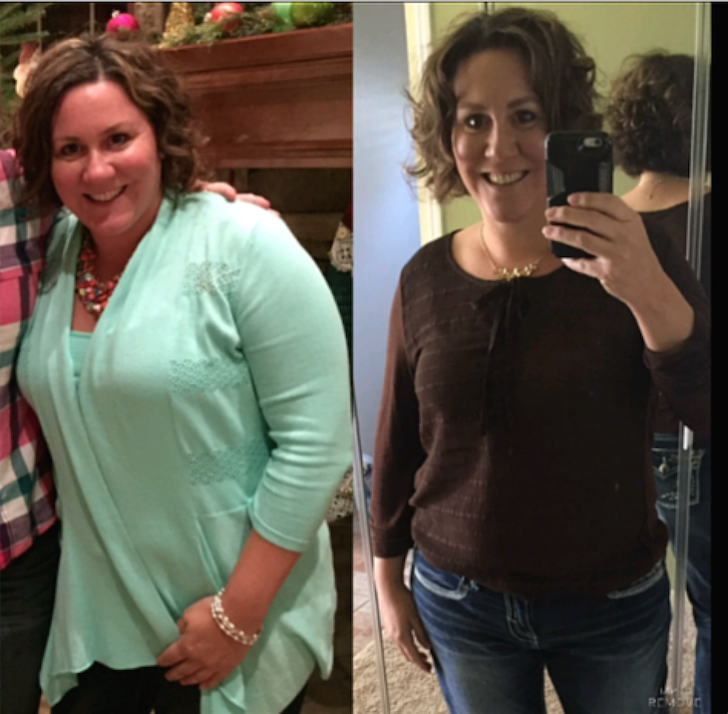 Diatomaceous earth has restored the lives of many I know…. so this is an example of the latter. I agree, I have ingested food grade Diatomaceous earth for several years now, and I believe it has helped my immune system. I have Candida from being a Vegetarian several years ago, and I would have it daily. I ingest it. I had a terrible problem of insomnia, anxiety attacks, bloating and headaches while breastfeeding my baby after I had lost about 40 lbs over the course of a couple months. I started taking DE and all the symptoms disappeared within 2 weeks. 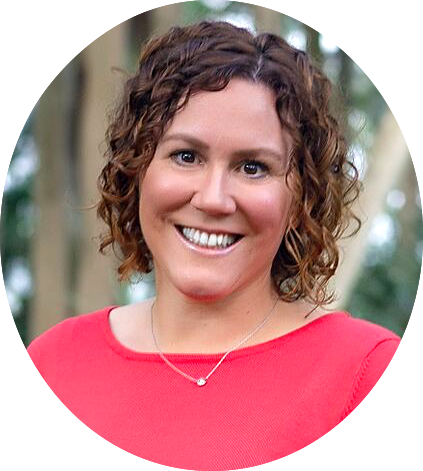 I had dealt with those symptoms for a couple weeks and researched a lot about DE from personal testimonies and holistic doctors and nutritionists. I’m glad I took it. I still take it occasionally when symptoms start to arise again. The key is not to take it when ingesting food, vitamins, or medicines. It is best to wait a couple hours to make sure the DE doesn’t take out the good nutrients you ingest. I use DE all around – for me, for my pets, for the yard/house. You may have given the cat too much, especially if it is the first time. Even when people consume it, they are only to consume maybe a teaspoon or so to start. A cat is way smaller than a human, so they probably only need maybe an 8th of a teaspoon in their food. I know a lot of people are saying they believe it is dangerous for humans to consume, but many veterinarians and farmers have given it to their animals for years with great results; you just have to know how much to give for a particular animal, and how often. Obviously there is a difference between pool grade DE and food grade. However, if the food grade DE works in the body as the pool grade works in pool systems I could understand the problem with consuming it. I worked at a pool for a few summers including cleaning out the pool filtration system. They add DE to the water to help catch the pool pollutants (like dirt, hair, leaves). It is extremely effective in clumping to pollutants and was tricky to remove from the fabric filters (part of the cleaning process was to spray water on the filters to wash the polluted DE down the drain before adding fresh water and DE to the system). I think it sounds feasible that it could attach itself to nutrients and a person should consult medical professionals before and during use. I’m not convinced that the DE is the sole reason some have had worsening/new symptoms. I’d love to hear from someone who’s willing to subject themselves to scrutiny by giving specifics as to before and after DE usage, i.e. general health info, symptoms, how/when DE consumed (w/ or w/o meals? with enough (in oz/L per day) of water/liquid, dosage (initial to end) activity level/lifestyle/life events-good or bad—stress? ), etc. I recognize this sounds like an informal study that may warrant scientific research & controls. However, I believe much can be gleaned by those of us that need specific examples and more info. and those who’ve not had a net benefit might gain insight as to results. So long as we’re intent & focused on learning and exchanging information/opinion as such, I believe the exchange won’t enter the realm of the offensive/defensive. I’d love to have respected authorities’ definitive/exhaustive research on the matter, but sometimes an informal series of question/answer can lead to informed risk-taking. This article is hilarious and that “doctor” talked alot but said nothing what so ever. “It gets stuck to intestine walls” what? Show us a picture or at least care to explain a bit more on the topic how that happens? He just used common fear inducing commentry without a shred of evidence so that people wont profit from naturally existing helpful ingredients. Discard this whole article and give it a go. Of course keep it moderate and simple. I have eaten diatomaceous earth food grade for years. I use to just mix it in a smoothie or my coffee but now I just eat it on my cereal. I give it to my dogs because they’re always catching rabbits and rats. It keeps the intestinal worms from taking over. For me, I never have any pooping problems, my hair is very soft, thick and healthy. People don’t believe I’m 53. I’m told all the time how young I look. I’ve had no serious health issues. No medications I have to take. And I smoked cigarettes for 35yrs. I quit a little over a year ago. I use to have alot of adult acne, but very little since eating diatomaceous daily. When you 1st start eating it your acne will get worse at 1st until it cleans the toxins out. But then it gets better. My daughter gets UTI ‘s a lot, but not when she faithfully eats the diatomaceous. My roommate has constipation problems and when nothing else seems to do the trick he comes and asks me to make him what we call a poop shake….. banana milk shake with diatomaceous earth food grade. I just started taking it 3 days ago, let’s see how it goes, how long can I start seeing results? For hair, weight loss , face? 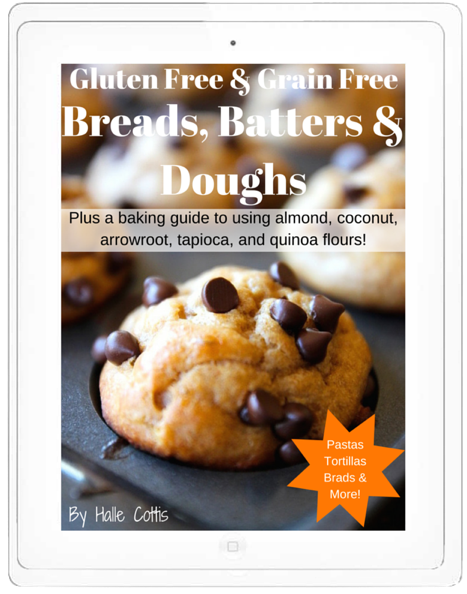 Is it harmful to someone with celiac disease? Not sure, if you want to try it, i suggest starting with a very small dose. You really need to concentrate on healing your leaky gut. I know a lot can be done in cases like yours with proper diet. I would consult a naturopathic doctor first. The title is irritating. This is all your opinion and you definitely SHOULD NOT tell us what we SHOULD NOT do. I’m not telling you to do anything and yes, this is my website where I share my beliefs. That’s why it’s my website. You are free to read my content and it is okay if you don’t agree with everything I say. I’ve used DE for 7 years and I live it. It work better than anything I’ve tried to clean me out. Also pysillium husk activated charcoal bentonite clay works too. You can’t listen to people if you know you used something and it works for you you can’t listen to everybody. I am into all homeopathic medicines herbs and teas.